Examines how the dress women wear and the fashion consumers pursuit reflect social-cultural identities and generate gender politics. Readings and discussions span historical periods, geographical locations, social-cultural groups, and identity categories. From bound feet to the Mao suit, and from qipao to wedding gowns, fashion styles and consumer trends inform a critical understanding of the nation, gender, body, class, and transnational flows. 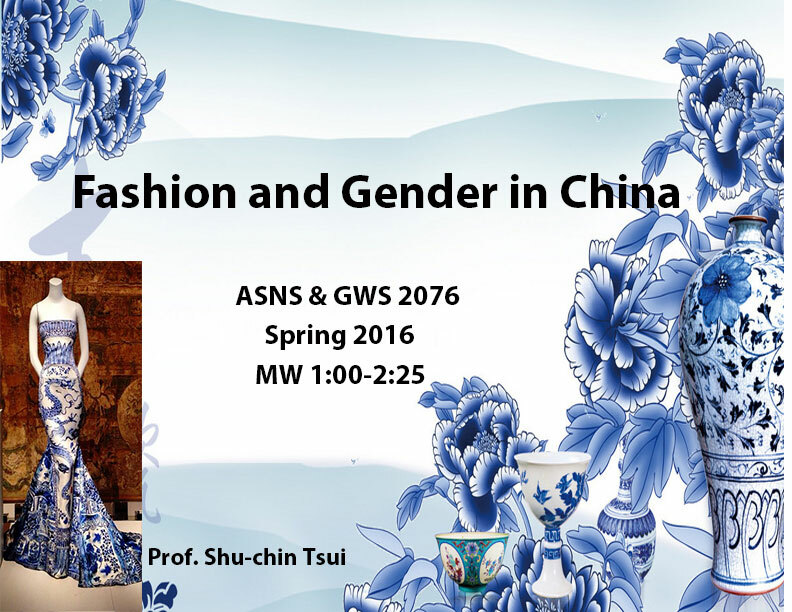 Topics include the intersections between foot-binding and femininity, qipao and the modern woman, the Mao suit and the invisible body, beauty and sexuality, oriental chic and re-oriental spectacle. With visual materials as primary source, and fashion theory the secondary, offers an opportunity to gain knowledge of visual literacy and to enhance analytical skills.